The singers and musicians of the Warblers are all members of the Glasgow P4Indy Group. We had our first outings during Burns Week. 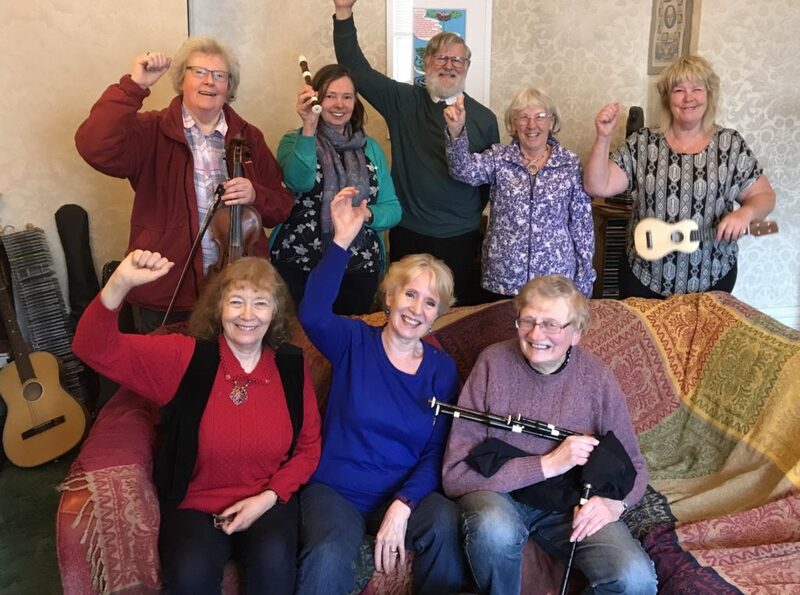 More recently we’ve been rehearsing to sing at the P4Indy AGM held in Edinburgh on 16March. One of us had the idea of writing some new lyrics to an old tune. She started off using the Wee Cooper of Fife tune but someone else suggested that Johnny Lad might be better. And it was. Soon we had a collective lyric-writing effort going on. Someone would come up with the first line or couple of lines and get stuck and then someone else would finish it off. It was a lot of fun. Come the week of the AGM we had settled on a set of verses. Here they are. Hope you enjoy them. This entry was posted in News on 31/03/2019 by MmH.